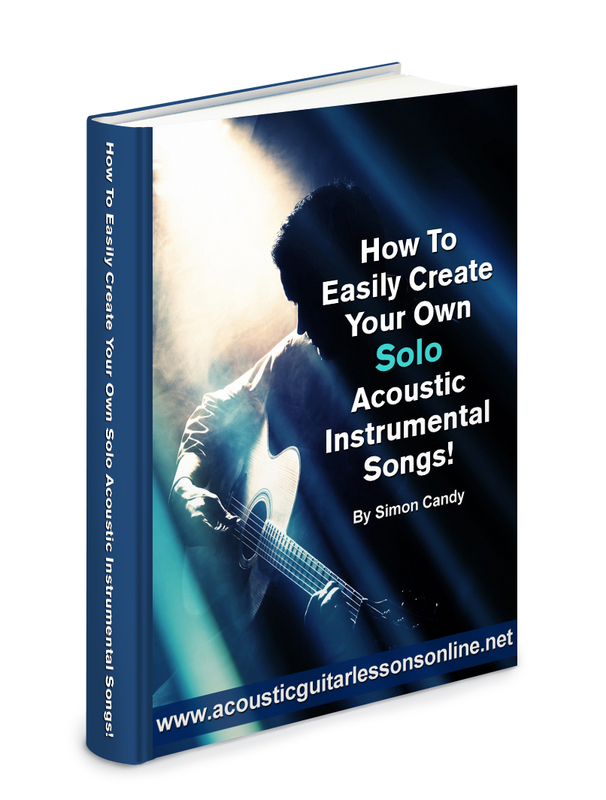 How To Easily Create Your Very Own Solo Acoustic Instrumental Songs! Do you watch youtube clips of people playing awesome solo instrumental versions of songs on their acoustic guitars and think to yourself, "Wow! That sounds freaking amazing, but I'll never be able to do that!" One of the most impressive things you can do on your acoustic guitar is to play solo instrumental versions of songs. People LOVE hearing this way of playing and are often dumbfounded at how one guitar can cover so many different parts to a song at the same time, and sound so cool! However, as impressive as playing an instrumental version of a song is, it can look and sound almost impossible to do, turning many people off even trying to play their acoustic guitar in this way. If you have ever felt like this yourself before, I have some good news for you. It doesn't have to be hard to play awesome sounding solo instrumental songs on your guitar! Easily be able to play super advanced sounding stuff on your guitar and feel great about yourself and your playing! Get INSTANT access to your FREE ebook and audio on "How To Easily Create Your Very Own Solo Acoustic Instrumental Songs" by typing your name and email address into the box below and clicking "Give Me Access Now"